In the world of Naruto, most characters are ninja. They channel the energy of their bodies into amazing feats, like running up the side of a cliff or walking on water. Some ninja, also called shinobi, are more powerful than others, and can do some crazy things with their bodies. The title character is known for having the nine-tailed demon fox Kurama sealed inside of his body. His former teammate, Sasuke, has special abilities in his eyes. Sasuke’s eventual wife, Sakura, has super strength. These details pale in comparison to some of the wilder attributes of being a shinobi, though. 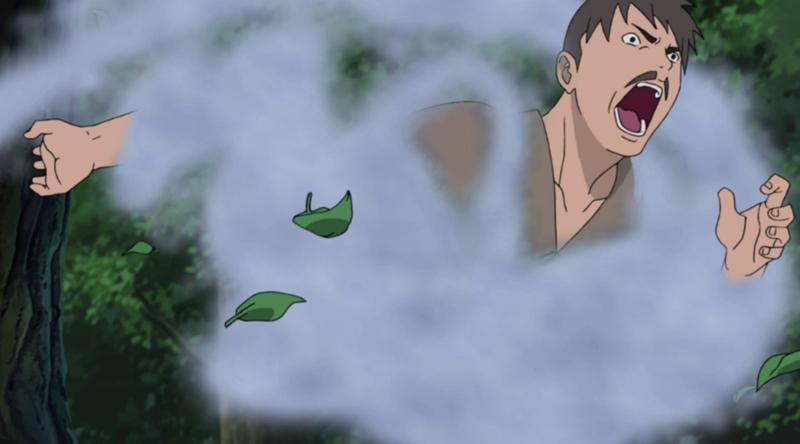 Some characters can actually turn their bodies into smoke, like the Iburi Clan, while others take on the characteristics of their symolic animal, like Orochimaru. Orochimaru is one of the names most often associated with the Naruto franchise. Save one or two heroic acts during Naruto Shippuden, he is most often a villain. Orochimaru caused most of the conflict throughout the series. It was Orochimaru who ended the reign of the Third Hokage, and it was also Orochimaru who caused Sasuke to lose sight of the bigger picture and travel down a dark path. He inspired a legion of followers in hideouts all over the Naruto world. Orochimaru also hid experimental laboratories everywhere and started his own village. He was often the person pulling the strings behind smaller conflicts. With all of that in mind, fans know Orochimaru is powerful with plenty of unique abilities. 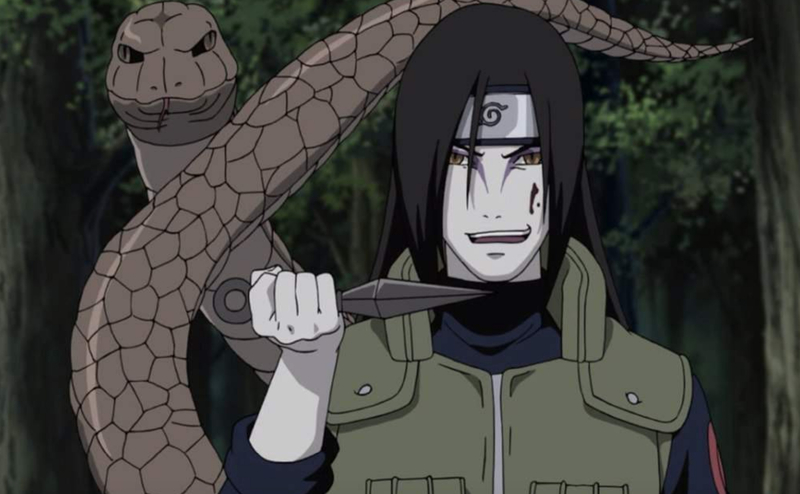 Many of these abilities are the result of what he’s done to his own body, which is why we’ve brought you the 25 Crazy Things About Orochimaru’s Body. The rogue ninja’s biggest goal has been immortality. After losing his parents at a young age, he witnessed a snake near their graves. The snake, a symbol of rebirth, gave him the idea of living forever instead. After deciding to learn every jutsu that exists and to live forever, he needed a way to make that happen. Unfortunately for Orochimaru, the average human body, even one belonging to a ninja, can’t last forever. He developed a method of transferring his soul to a new body in order to stay alive. His original body might be long gone, but Orochimaru is still alive and well. With Orochimaru’s legion of followers and penchant for switching to new host bodies, he needs a way for his followers to know every body is still him. That’s where the Vanishing Facial Copy Jutsu comes in. As its name implies, the jutsu copies the face of the user onto another body. The jutsu was actually developed by shinobi spies to help them infiltrate other groups. They are able to place their hand over someone else’s face and “steal” their features. The “vanishing” part of the name implies that when the person stealing the face is done, the original body no longer has a face. 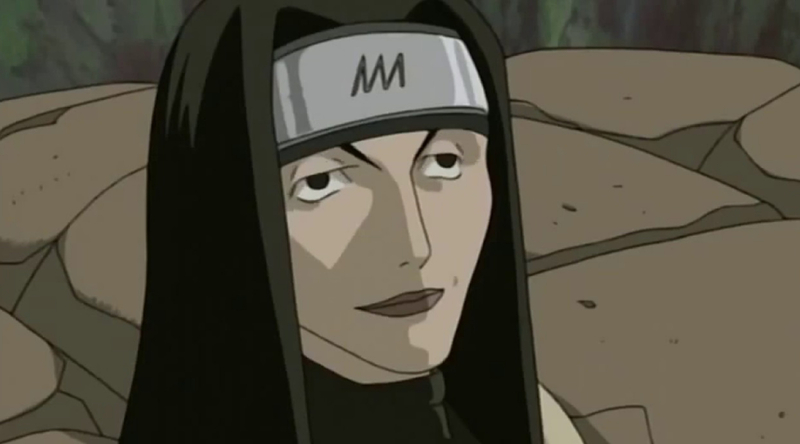 Orochimaru keeps stealing his copied face from host bodies. Naruto fans know the title character is fond of his shadow clones, but he’s not the only one who can make copies of himself. Orochimaru, at least in the anime, prefers to use earth clones instead. Shadow clones typically don’t have substance to them. Naruto’s are a rare exception. With earth clones, the user’s power creates clones of them out of mud, giving a solid form to their clone that is able to fool people. Earth clones can also use earth based attacks and reform from the mud once a hit takes them out. It’s no wonder Orochimaru likes using them. Before Orochimaru became obsessed with Sasuke Uchiha, there was Sasuke's big brother Itachi. It was Itachi who Orochimaru wanted to become his next host body, but that didn’t work out in his favor. What Orochimaru really wanted out of the Uchiha clan was a Sharingan of his own. He thought using an Uchiha body would give it to him. Instead, when Itachi and Orochimaru finally came into conflict, Itachi caught Orochimaru in a genjutsu. 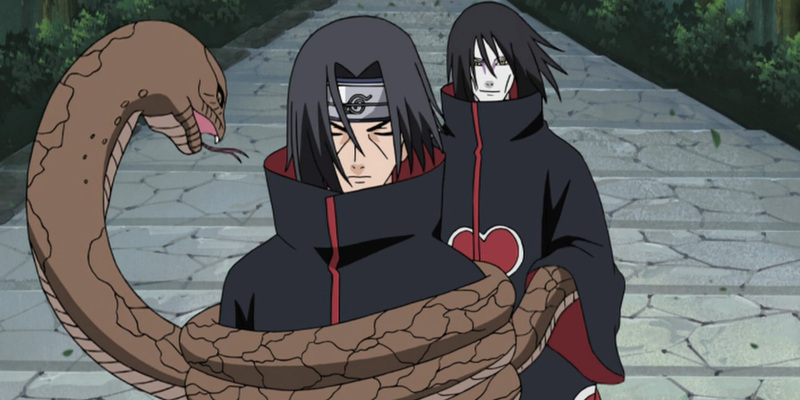 In order to prevent Orochimaru from attempting to break the technique or fight his way out of it, Itachi cut off his enemy’s left hand in warning. Itachi thought the warning would stop Orochimaru from coming after him again. Rasa was the Fourth Kazekage of Suna, the Sand Village. Naruto fans didn’t get to know him all that well. Instead, they got to know his kids: Temari, Kankuro, and Gaara. Rasa’s time in the series was relatively short. 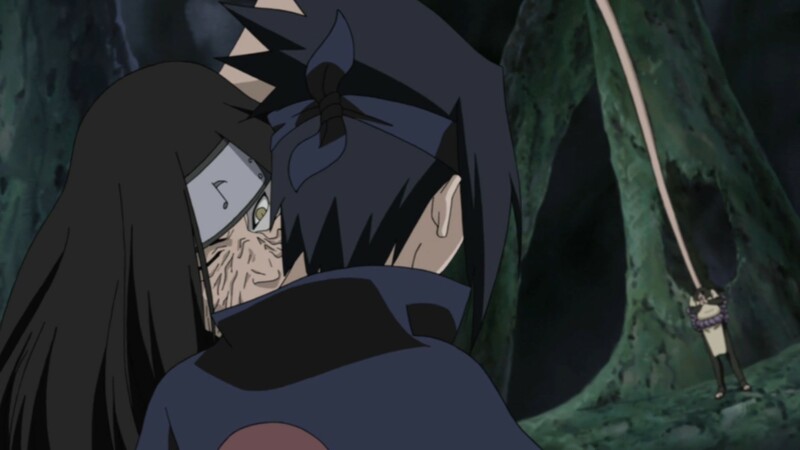 Rasa made a deal with Orochimaru to invade Konoha during the Chunin Exams. The Kazekage was unhappy with the economic decline of his region, and thought a show of strength would help. Instead, Orochimaru double crossed Rasa. Orochimaru copied the face of the Kazekage and took his place while observing the Chunin Exams. It wasn’t until much later that the teens participating in the exams learned that the Kage wasn’t their father. The curse marks that allow Orochimaru his own version of Sage Mode also store a piece of his soul and mind in every person he puts one on. What this means is that if Orochimaru (and his host body) were ever to be defeated, he wouldn’t really be gone, as Sasuke discovered during Naruto Shippuden. Instead, Orochimaru can be brought back to a physical form if that piece of his soul is extracted from one of those curse marks. Anko underwent the painful process when Sasuke needed information from their former mentor. It sounds a whole lot like Orochimaru took a page from Voldemort’s book and turned his followers into horcruxes. Itachi Uchiha might have eliminated one hand, but the Third Hokage went a few steps farther. He made sure Orochimaru didn’t have the use of either of his arms in their final confrontation. During Naruto’s Chunin Exams, once Orochimaru was revealed to be impersonating Rasa, he confronted the Third Hokage head on. Knowing that they were fairly evenly matched, the Third Hokage tried to make sure that he took Orochimaru down with him, but that didn’t work out the way he wanted. The Third Hokage, realizing that he wouldn’t be able to overcome his former student, decided to seal the power in Orochimaru’s arms, leaving them ashen and paralyzed. There’s a reason why he has to keep searching for new host bodies. Just as his original body ages and breaks down, so too do his host bodies. Switching from host to host isn’t just a result of aging bodies, though. Once Orochimaru has inhabited a body for three years, it starts to reject him. When the villain decided that he wanted Sasuke Uchiha to be his next vessel, it was near the end of his time with that current host. The Third Hokage sealing his arms only sped up the process. Orochimaru ended up taking on a new host, commenting that in “a few years” Sasuke would be ready for him. Though blood types aren’t typically discussed in the manga or the anime, the Naruto Databooks did share that information about the different shinobi. Orochimaru has type B blood. While this isn’t necessarily interesting information on its own, what is curious is that Orochimaru shares this blood type with his original teammates. As a child, Orochimaru graduated the ninja academy and was teamed up with Jiraiya and Tsunade, two of the people who would go on to work with Naruto later in life. Though the trio were not related, they all had type B blood. They also were all immensely powerful and went on to earn the moniker of the Legendary Sannin. The main reason why Orochimaru wanted the body of an Uchiha to host his soul was to have access to their eyes. The Uchiha clan had the Sharingan, an ability that allowed the ninja wielding it to copy any jutsu they saw. What’s interesting is that Orochimaru didn’t really need a Sharingan, not even as a child. The Third Hokage was Orochimaru’s sensei when he was fresh out of the Academy. During training sessions, Orochimaru’s eyes were so quick that he was able to copy his sensei’s hand signals to use the same jutsus even though he only saw them used once. Orochimaru was termed a prodigy. After Sasuke betrayed Orochimaru, deciding that the latter shouldn’t have the body of an Uchiha for his vessel, Orochimaru had to speed up his timetable. He started to try to make Sasuke’s body his host in the midst of their fight, but Sasuke was smarter than he thought. Sasuke actually reversed the process of making himself a host body. Instead of allowing Orochimaru to take over, he absorbed his former mentor himself. He had to use his own chakra to hold Orochimaru in place and keep his influence suppressed. This meant that Orochimaru was effectively imprisoned in Sasuke’s body while Sasuke ran the show. As Sasuke discovered when fighting Orochimaru, it’s not just his ninjutsu techniques that are dangerous. Orochimaru’s very blood can be hazardous to another ninja’s health. When Orochimaru revealed his true snake form to Sasuke, the latter attempted to slice his way through the many smaller snakes. Unfortunately for him, any blood spilled turned into a vapor. That vapor then became a paralytic agent, halting Sasuke’s movements when he interacted with it. It does make you wonder just how Kabuto was able to infuse himself with Orochimaru’s blood to gain his powers. Naruto series creator Masashi Kishimoto has had a great run with his characters. In addition to the original manga, there are multiple anime series and movies. His character designs are even still being used in Boruto, the sequel series. Interestingly, his design for Orochimaru changed throughout the manga. According to the book Uzumaki: The Art Of Naruto, Kishimoto wanted to make it clear who the bad guys were. 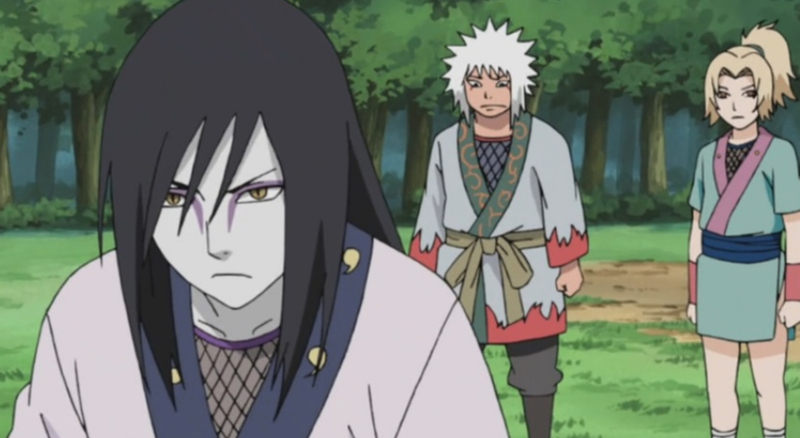 In panels featuring Orochimaru, he would intentionally change the highlights in the character’s hair or create a stark background. He wanted to make Orochimaru visually “creepier” to the reader. Not only were Orochimaru’s look and skills inspired by a folk tale called The Tale Of Jiraiya The Gallant, but so was his relationship with his former teammates, Jiraiya and Tsunade. In the tale, Jiraiya was actually the teacher of Orochimaru. Jiraiya was a shapeshifting ninja who could turn into a toad, while Tsunade had magic involving slugs. Eventually, Orochimaru betrayed his teacher in the story, just as the Naruto version did with his teammates. 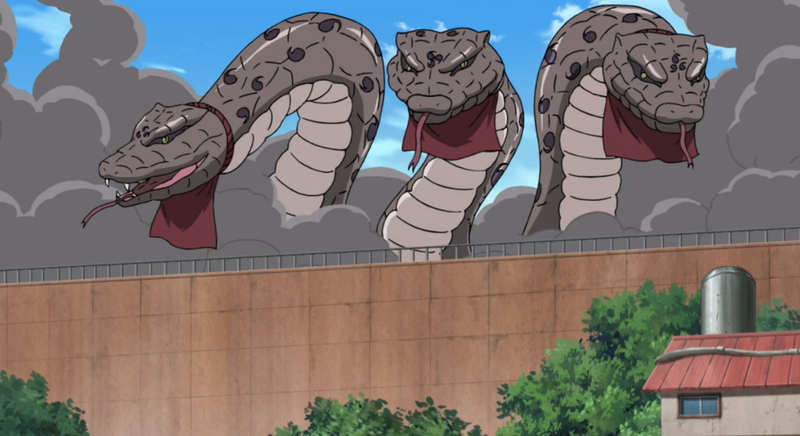 In the story, Orochimaru also became a snake master, which is what inspired his power set and appearance in Naruto. In the world of animation, some voice actors get lucky with an iconic role or two. The voices of Orochimaru have certainly been lucky in their work. Kujira, the Japanese artist who voices the character in her native language, is well known for her work in the anime world. She’s also well known amongst Disney fans. Kujira was chosen to dub Ursula in the Japanese language version of The Little Mermaid. Likewise, Steven Blum, who voices Orochimaru in the English version of, has become known for his Marvel work. He’s voiced Wolverine in several different animated series. Through his scientific experimentation, Orochimaru managed to make a lot of new modifications to his body. He combined his study of science with learning different ninjutsu to make himself more powerful. His ideas were inspired by his favorite animal: the snake. Orochimaru figured out how to give himself a snake’s “tail” to make his movement faster. The lower half of his body completely transforms when he does it. He can also lengthen his arms, neck, and tongue in the same way. In addition to making his body move like a snake, he can also shed his skin to unveil a new body underneath, effectively eliminating surface injuries. 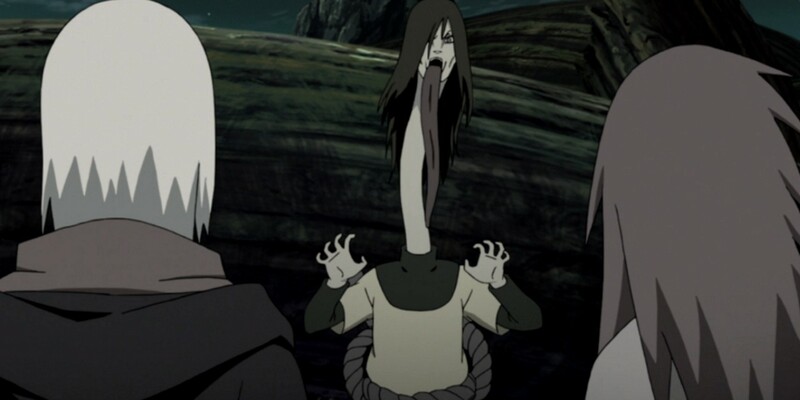 He might use a lot of different host bodies, but Orochimaru has one true form. Given his love for all things reptile, most fans guessed what it was before it was revealed. “Orochi” actually means “giant snake” in Japanese, while “maru” is the suffix given to a man. His name literally means “giant snake man,” so there wasn’t a ton of mystery for manga readers or anime watchers who knew the meaning. That snake was actually made up of smaller snakes that could put his injured body back together if damage was done. Sage Mode is a very powerful form in the Naruto universe. Not every shinobi can master it. Sage Mode combines a ninja’s chakra with the energy of the world around them, creating senjutsu chakra. It allows them access to new abilities, but it requires huge chakra reserves and a healthy body. Orochimaru attempted to master Sage Mode on his own. Unfortunately, just as he discovered how to use it, he realized that his host body was too weak for him. As a result, Orochimaru had to find a way around it. He developed a new way of harnessing the senjutsu chakra instead. The new way involved a liberal use of curse marks. While on his travels outside of the Hidden Leaf Village, Orochimaru set up several experimental labs and hideouts. Near the village, though, was the Iburi Clan, living underground, whom Orochimaru just happened to find. Initially, members of the Iburi Clan allied themselves with Orochimaru because he helped them with their specialty power. They were able to turn themselves into smoke, but it was so unstable, their bodies would break down. Orochimaru used his cursed seals to help stabilize them. After being mortally wounded and returning to their underground hideout though, Orochimaru decided it was more important for him to have their power. He fed on their smoke, nearly destroying them all. When Orochimaru claims a new host body, his soul takes over. The existing soul has to go somewhere, right? Not exactly. Instead, the soul that was already there has to share the space with Orochimaru. In fact, every time the shinobi leaves an old body behind, he takes the new souls with him. It just so happens that his chakra is so powerful that he’s always in control. Because all of these souls are combined, though, the personalities of the different people whose bodies he stole can influence some of his decisions. This is why his personality has shifted over the years in Naruto. His desire for power and immortality have always remained, however. Every shinobi has their favorite weapons. Rock Lee likes his fists, Shino would rather use his insects, and Tenten likes anything that’s pointy or explodes. Orochimaru might have a fondness for snakes, but his favorite weapon is a sword. The Sword of Kusanagi is one of legend, and Orochimaru likes to keep it in a safe place when he’s not using it. That safe place is inside the mouth of a snake. Of course, you might remember that his body is made up of smaller snakes, so the snake that stores the sword is actually a part of him too. The sword, and the snake, are kept hidden in Orochimaru’s own throat. After decades of experimenting with scientific modifications on the bodies of his followers (and his own), Orochimaru decided to take his work a step farther. In Boruto, the Naruto sequel series following the next generation, Orochimaru has a son. Mitsuki is the product of a cloning experiment, though the details of his genetic parentage aren’t entirely clear. He’s at the very least got some of Orochimaru’s DNA, but just who else might be one of his “parents” hasn’t been revealed yet. Mitsuki, interestingly enough, doesn’t refer to Orochimaru as his father either, but as “parent.” However, there may be a larger reason for this. In the past, Orochimaru has used female host bodies to carry his soul. In the anime, the audience has seen one, though there very well could have been more. With Orochimaru being more concerned about the power and health of a host body than anything else, some fans have speculated that he may be gender fluid, though the franchise has always used masculine pronouns for him. Fans have also speculated that Orochimaru, with a female host body, might have even given birth to Mitsuki. One of the complaints from long time Naruto fans watching Boruto is that Orochimaru got off easy for his crimes. Some fans believe that, despite Orochimaru being the longest running villain, he deserves a break. After all, he did help out the Allied Shinobi Forces during the War. Others wonder why someone who kidnapped and experimented on fellow ninja didn’t get in more trouble. Boruto revealed that he’s still under surveillance. 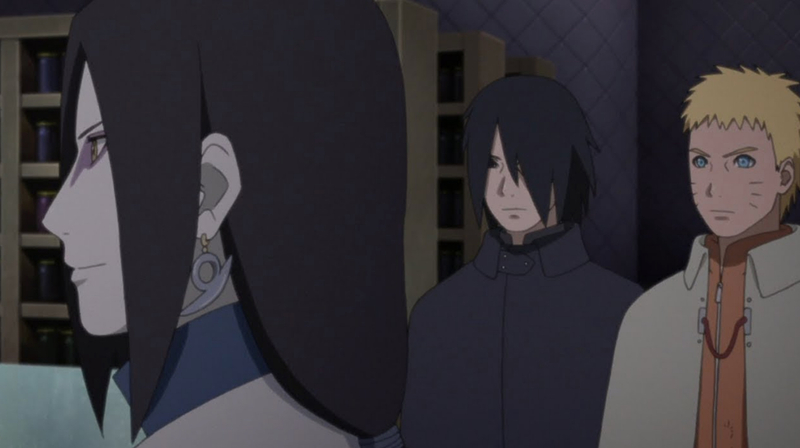 Naruto commenting that Orochimaru looked even younger in an episode of Boruto raised a red flag for many viewers. The implication, especially after the former villain told the Seventh Hokage not to worry, is that he’s busy finding new host bodies in the new era. Despite weakening hosts and his general failure to take over different villages, Orochimaru might still be the strongest shinobi in the franchise. 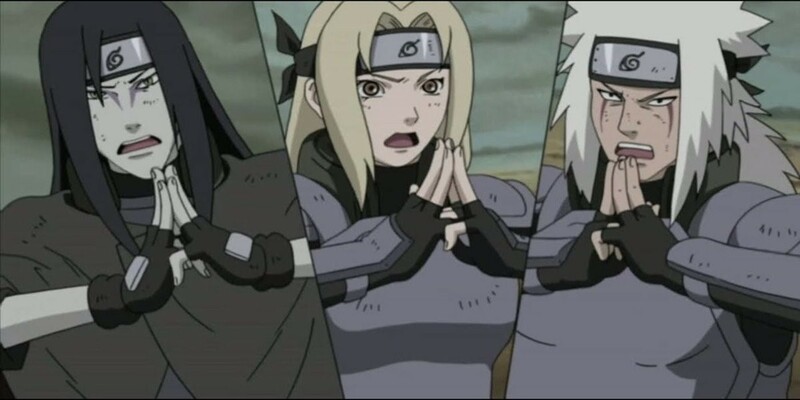 Shortly after having his arms sealed by the Third Hokage, Orochimaru found himself in the middle of a confrontation with his former teammates, the Legendary Sannin Tsunade and Jiraiya. 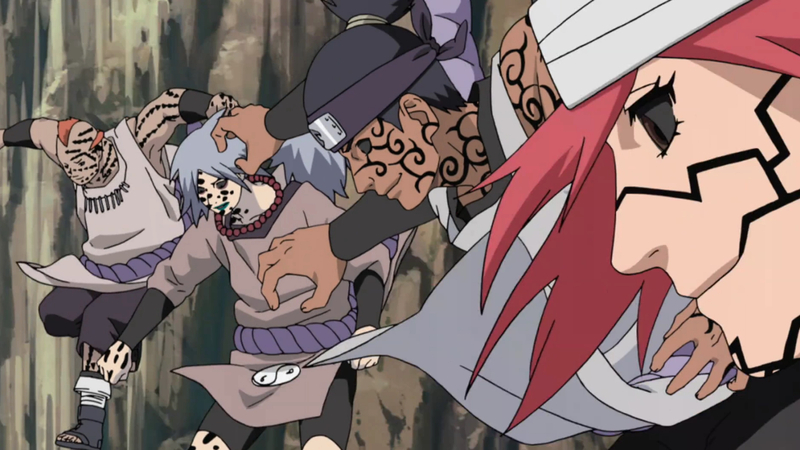 With a little help from his follower Kabuto, Orochimaru was able to hold off both teammates without actually using anything requiring hand signs. Sasuke, widely regarded to be one of the most powerful characters in the series, also remarked that the only reason why he was able to beat Orochimaru was because of Orochimaru’s weakened host body. 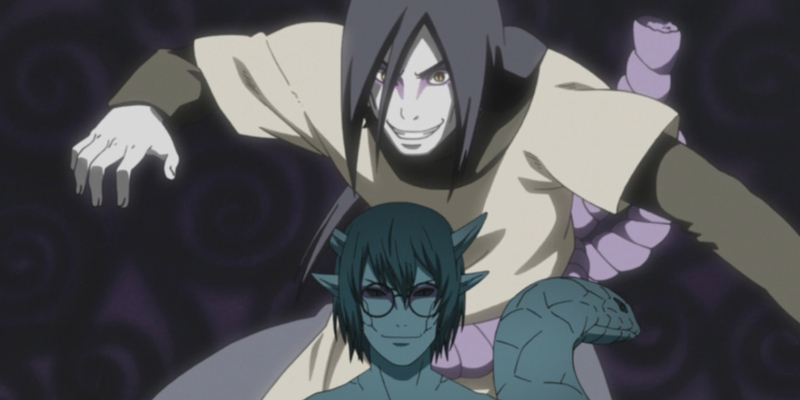 Can you think of any other crazy things about Orochimaru’s body from Naruto? Let us know in the comments!